Thank You For An Amazing Poppy Walk! Packet Pick-Up at Fleet Feet takes place on Friday, April 5th, from 10:00 a.m. to 6:00 p.m.
You can pick up your packet, which includes your t-shirt, as well as your bib if you are a timed runner, at Fleet Feet on Friday. You can also pick your packet up on race day, between 7:30 and 8:15 at the One-Mile Picnic Area. If you have friends who would like to take part but haven’t registered yet, it’s not too late! They can register at Fleet Feet during packet pick-up on Friday, or at the registration table in the One-Mile picnic area on Saturday between 7:30 and 8:15. Our sustainable chip timing is provided by the Bizz Running Company. Timed runners will be given a numbered bib and a reusable chip; the chip can be attached to their bib or tied onto their shoelaces. Chips will be collected at the Finish line! Bottled water will be available at the One-Mile picnic area, but not provided along the course (except at the park drinking fountains). Hot dogs, lemonade, rice chips, bananas, and cookies will be available in the One-Mile Picnic Area. We will be holding the Poppy Walk rain or shine! In the event of severe weather (such as would merit a park closure), we would announce a cancellation here on PoppyWalk.org, as well as on our Facebook page. But the weather looks good right now, and we don’t anticipate that happening! Please park outside the park before the run. If you have a parking placard and need to arrange closer parking, please call us at 342-2345 by Friday afternoon if possible. The Poppy Walk is always a lively, family friendly event. Sheriff Kory Honea will be starting off the runners and walkers! Mike Manley with Mix 95.1 will be emceeing and playing music, and Pumpkin the Miniature Therapy Horse will visit as well. Wheelchairs and strollers are welcome on the course (walkers will take off directly after runners). Hot Dogs & Lemonade at the Poppy Walk & 5k Run! It’s a party! The Chico Elks will be serving up hotdogs and lemonade at the Poppy Walk. Bring friends and family to cheer you on, and you can all enjoy! Mike Manley will be emceeing, and Sheriff Kory Honea will be starting off the walkers and runners! The Peg Taylor Center fills an urgent need in our community by serving adults with health needs. The individualized support provides a safe haven for many people who would otherwise be isolated, fostering well-being and connection and improving health, safety and independence. We can’t do it without your help. Register now for the Poppy Walk! Registration is now open for the 9th Annual Poppy Walk & 5k Run! Click on the “Click Here to Register” button to register for the Walk and Run online! This year’s theme is Healing and Resilience. The Poppy Walk is a great way to come together and celebrate our strong community! We’ll be joined by special guest Sheriff Kory Honea. Pre-registration prices end on March 15th. 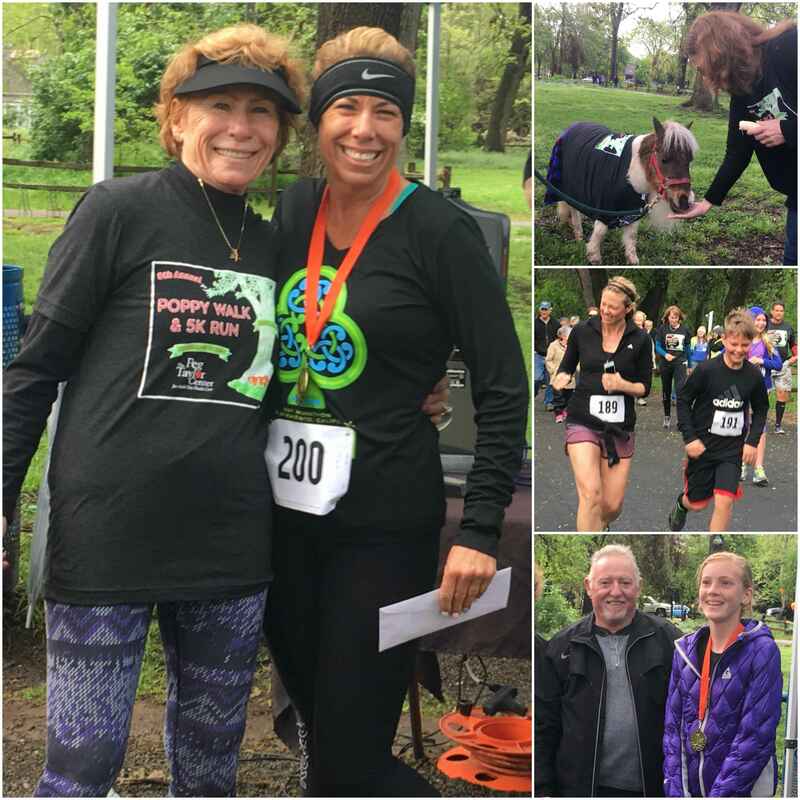 Save the Date: The Poppy Walk & 5k Run is on April 6th, 2019! The Poppy Walk is a fundraiser for the Peg Taylor Center, which supports local people who are living with serious health conditions. Now more than ever, local families need our support. We help whole families thrive by providing medical and social services that help people to be healthy, happy, and independent, even in the face of challenges. We need your help! Sponsorships are key to the success of the Poppy Walk & 5k Run. We love the companies and families who sponsor the Poppy Walk, and we provide lots of sponsor recognition before, during and after the event. To learn more, click on the Sponsor tab. The Poppy Walk will take place on April 6th, in lower Bidwell Park, on California Poppy Day! Run or walk individually, or consider making up a team of coworkers, family and friends! Teams and individuals will also be able to fundraise beyond entry fees, competing for top earner. To learn more, click on the Teams tab. and we are grateful for you every day. 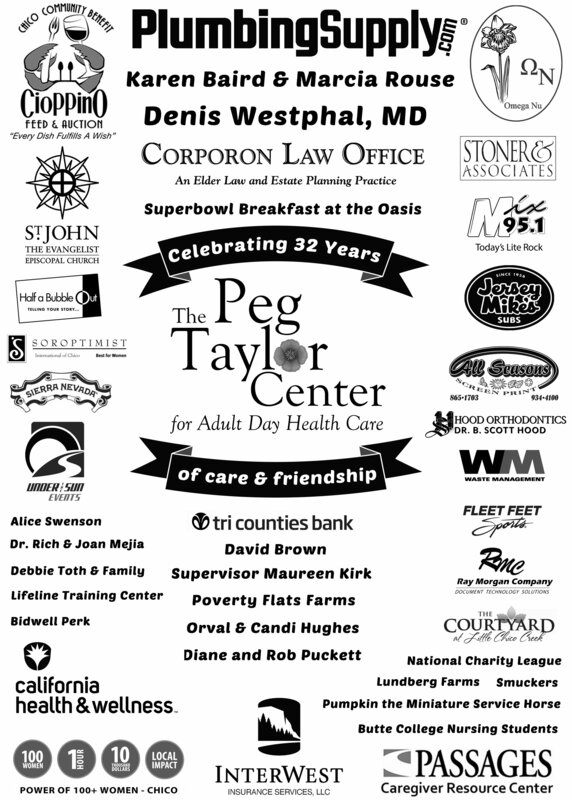 Over 200 community members joined together on behalf of the Walk and related activities, helping to raise over $30,000 in support for the Peg Taylor Center. This will directly benefit our participants and their families in a multitude of ways, including respite, therapies, nutritious meals, individual nursing attention, and other services to support wellness and quality of life. Congrats to all of our medal winners! To view all results from the timed run, click here and then click on the Poppy Walk & 5k Run. If you want your t-shirt, please be sure to pick it up or contact us on or before April 20th! Packet Pick-Up at Fleet Feet takes place on Friday, April 6th, from 10:00 a.m. to 6:00 p.m.! First, a quick note on the weather: at this point, it’s looking like the incoming storm will have mostly finished storming by Saturday morning. Unless there is severe weather such as would merit a park closure, we’ll be holding the Poppy Walk rain or shine! We are preparing for rain, and will have some raincover in the picnic area, but be sure to bring your rain gear! If you have friends who would like to take part but haven’t registered yet, it’s not too late! They can register online at www.PoppyWalk.org until Thursday (tomorrow) at noon, at Fleet Feet during packet pick-up on Friday, or at the registration table in the One-Mile picnic area on Saturdaybetween 7:30 and 8:15. Our chip-timing is provided by Under the Sun. Timed runners should wear their numbered bibs over their midsection; for best results, be sure not to cover up the bibs. Please note that in the event of severe weather, such as would merit a park closure, notification that the Walk/Run has been cancelled will be posted here, at PoppyWalk.org, and also e-mailed to registered participants. Please note that all registration fees are non-refundable. In the event of normal weather, however, we’ll be there rain or shine! Bottled water will be available at the One-Mile picnic area, but not provided along the course (except at the park drinking fountains). Rice chips, bananas, Knudsen drinks and cookies will be available after the run. Please park outside the park before the run. If you have a parking placard and need to arrange closer parking, please call us at 342-2345 by Fridayafternoon if possible. The Poppy Walk is always a lively, family friendly event. Pumpkin the Miniature Therapy Horse will be making an appearance! Mike Manley with Mix 95.1 will be emceeing and playing music; wheelchairs and strollers are welcome on the course (walkers will take off directly after runners). Please, no dogs, unless they are assistance animals.